for example, wire rope slings, chain slings, round slings or other fittings to one another. 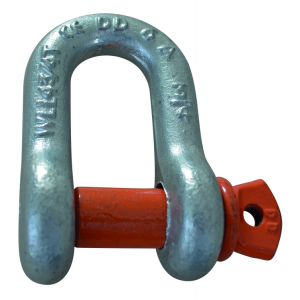 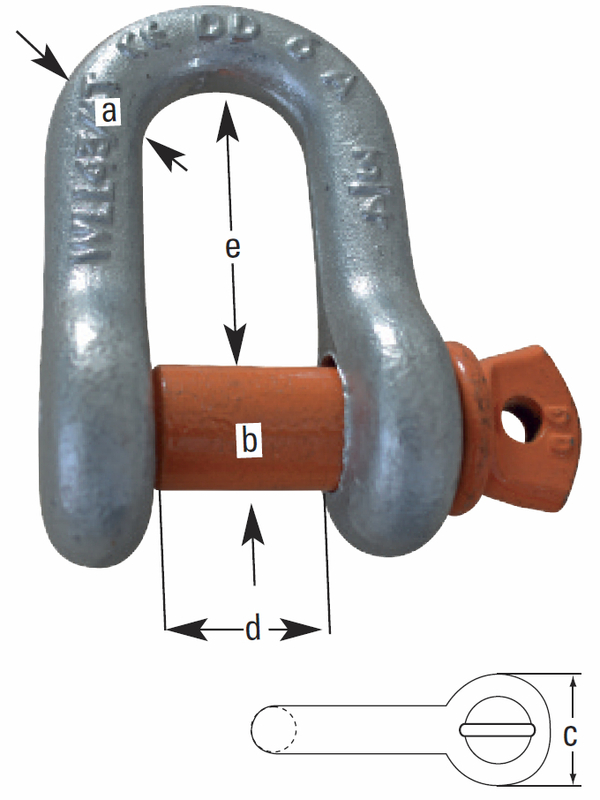 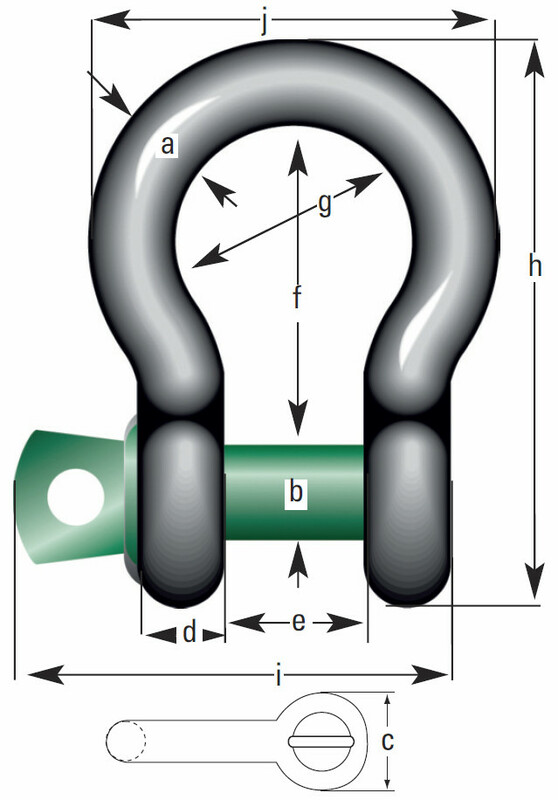 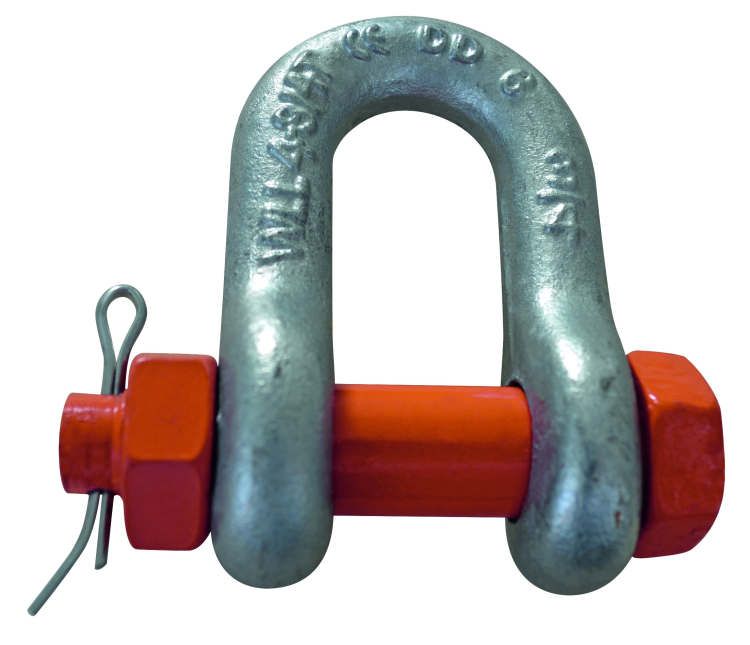 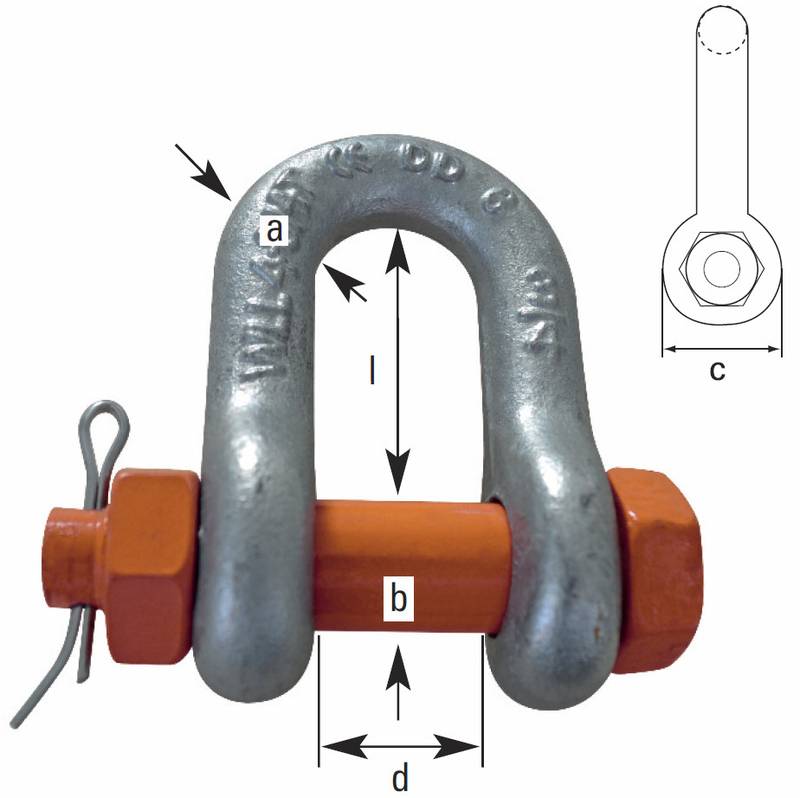 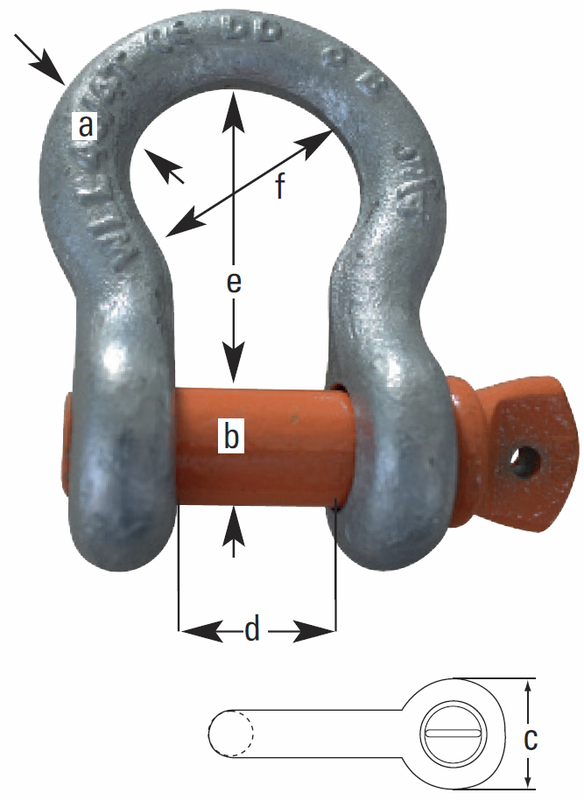 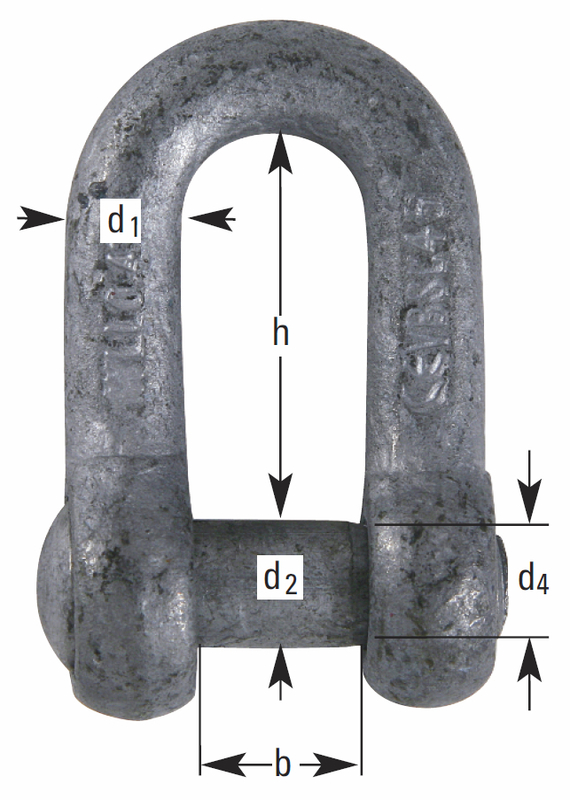 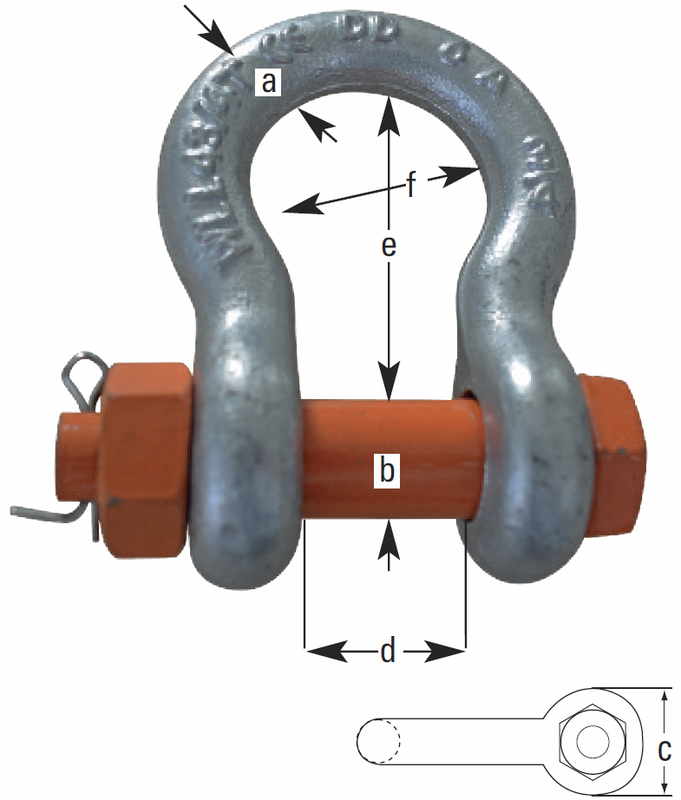 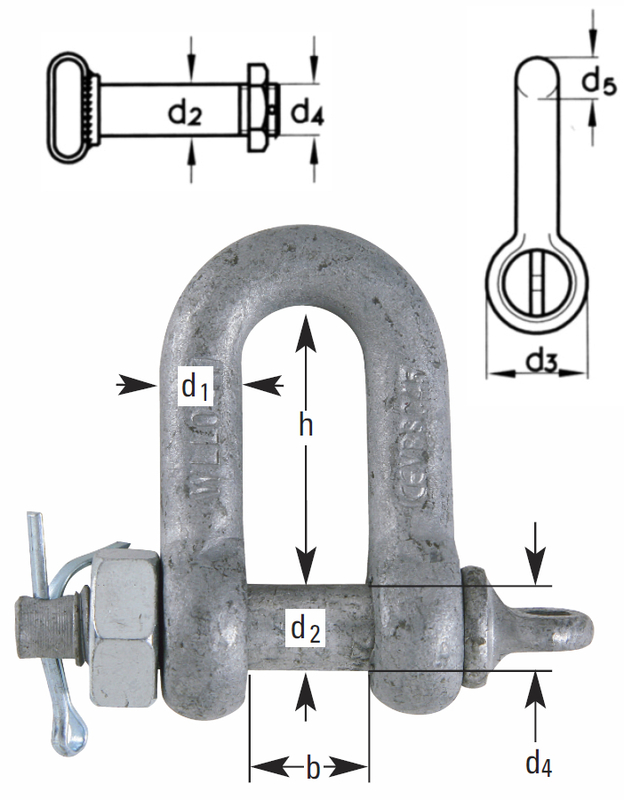 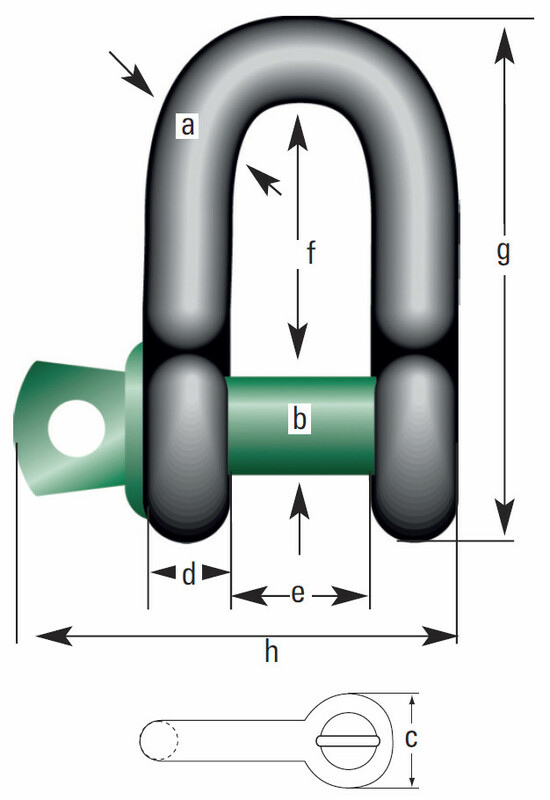 The use of a shackle enables a damaged wire rope or a chain to be replaced more easily. Shackles are used in shipping as well as in conveying technology and mechanical engineering. Shackles are usually made of cast or forged steel or stainless steel. 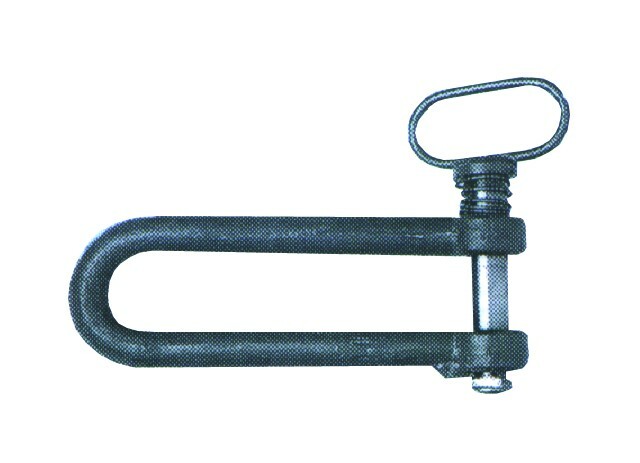 Shackles with eye bolts, which are mostly used for temporary purposes. 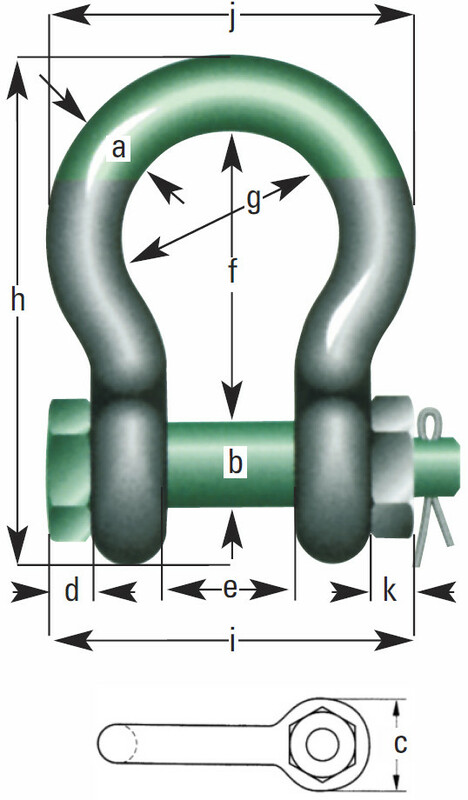 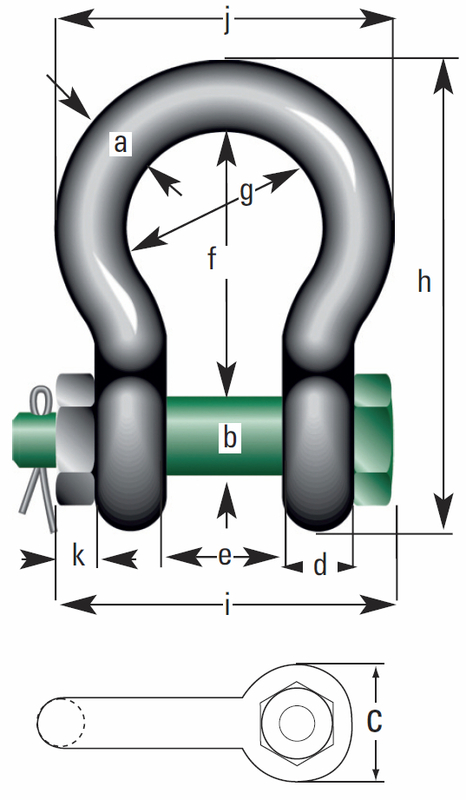 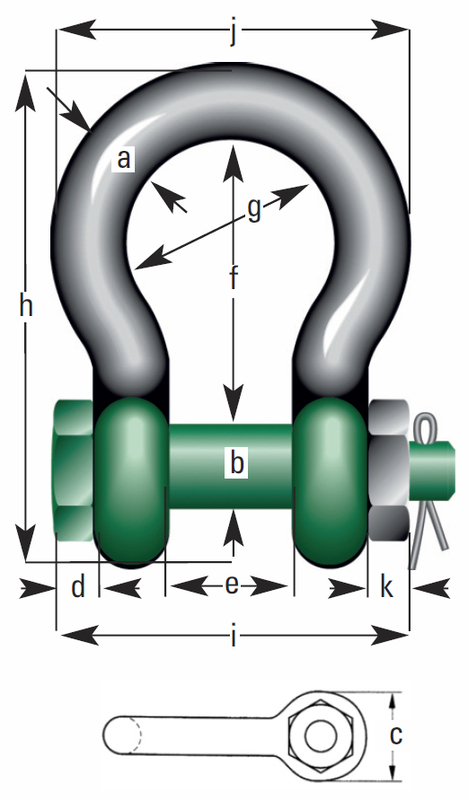 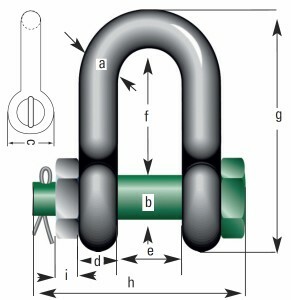 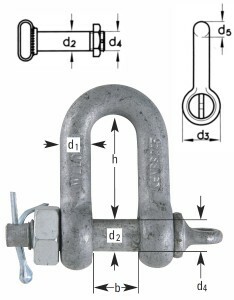 Shackles with nut and split pin, which are more usually employed for long-term applications and in projects in which the bolt could turn under load. 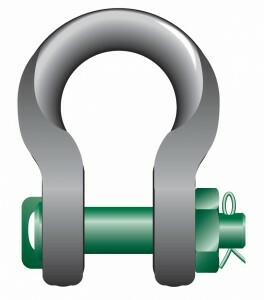 Curved shackles (including anchor shackles) for systems with multiple attachments. 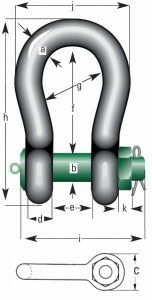 The connection is more flexible thanks to their curved shape. 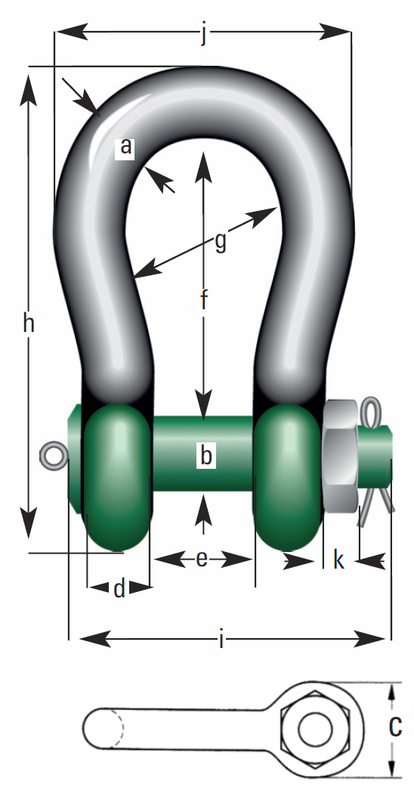 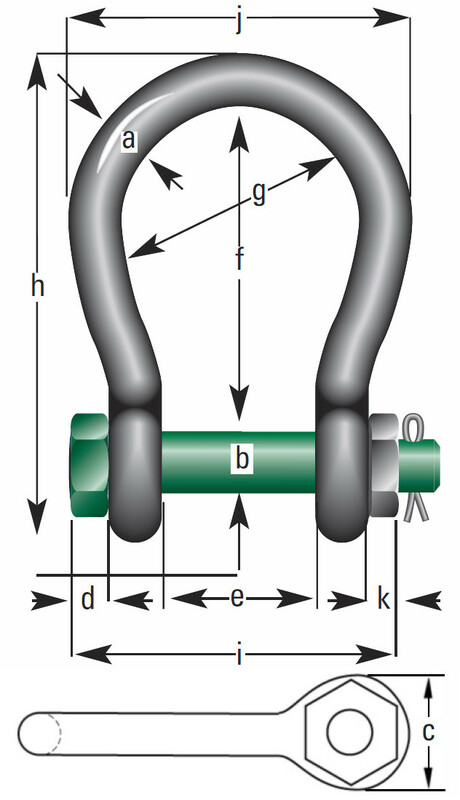 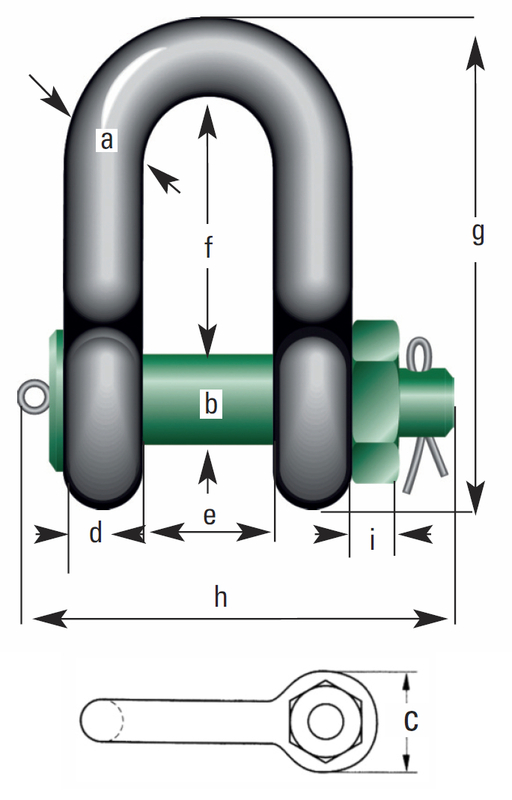 The Green Pin® shackles are distinguished by their dimensional accuracy and are therefore preferred for assignments with high working load limits and can also be used at low temperatures (polar version even down to -40 °C). 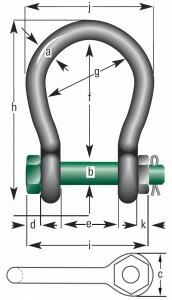 Green Pin® shackles can also be supplied in the versions listed above. The shackle must be replaced with a functional shackle if one of the above points occurs. 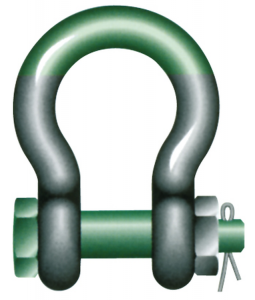 Dolezych offers you a large selection of straight and curved shackles. 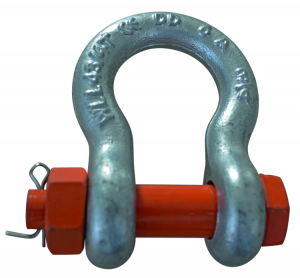 Depending on the purpose of use, we offer you shackles with a working load limit (WLL) from 0.1 to 1500 t, so that you can select the right shackle for every application. 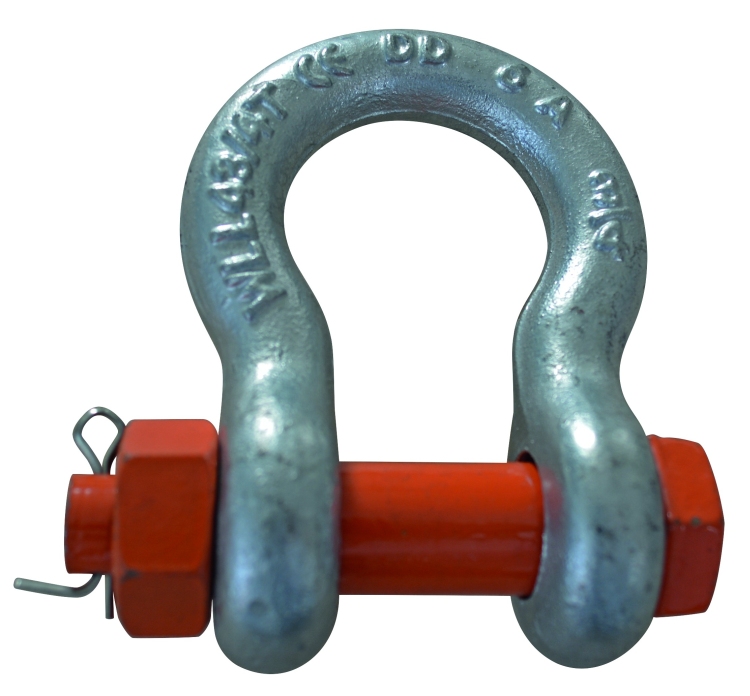 In addition, we supply shackles on the basis of the DIN EN 13889 and DIN 82101 standards. 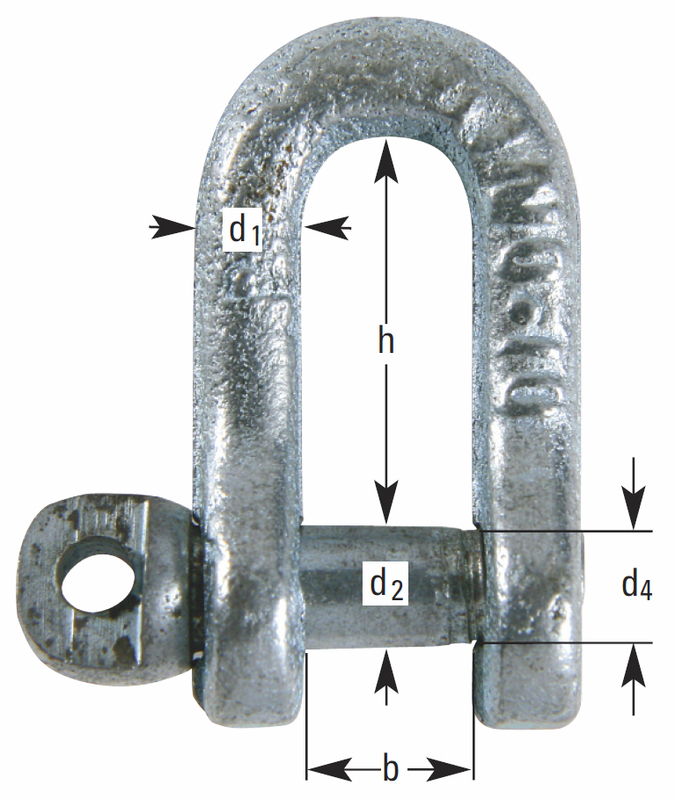 If you cannot find a suitable shackle listed below, please contact us on +49 (0)231 82850 or by e-mail to info@dolezych.de or by fax to: 0231 82 77 82. 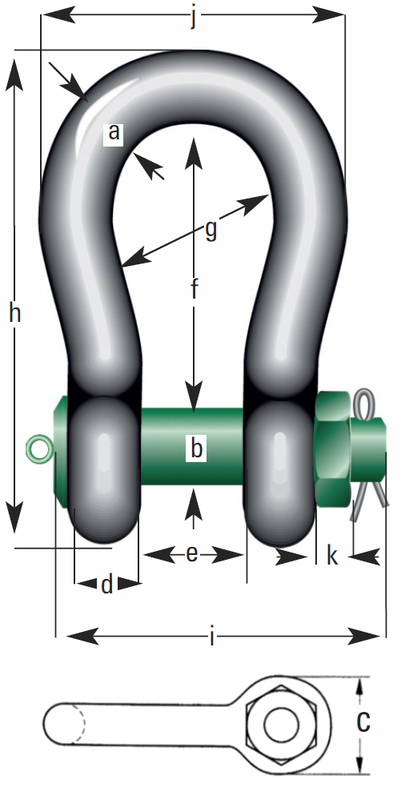 Green Pin® Super shackles are manufactured from grade 80 steel and have been developed for use in cramped conditions. 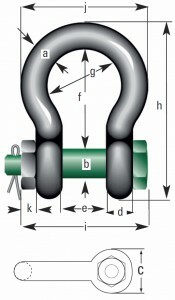 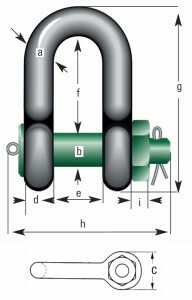 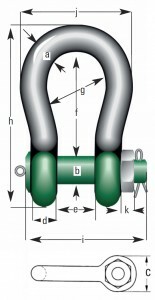 Thanks to a higher material strength this shackle type has smaller dimensions, but retains the familiar functionality. Green Pin® Standard shackles are manufactured from high strength grade 60 steel, quenched and tempered, and are suitable for use in temperatures from -40 °C to +200 °C These shackles meet the requirements of EN 13889. 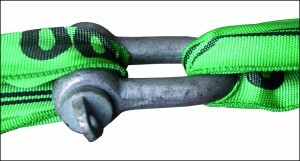 Green Pin® Polar shackles have been developed for use in regions with extremely cold climate conditions. These special shackles are made from a material that allows their use at temperatures as low as -40 °C. 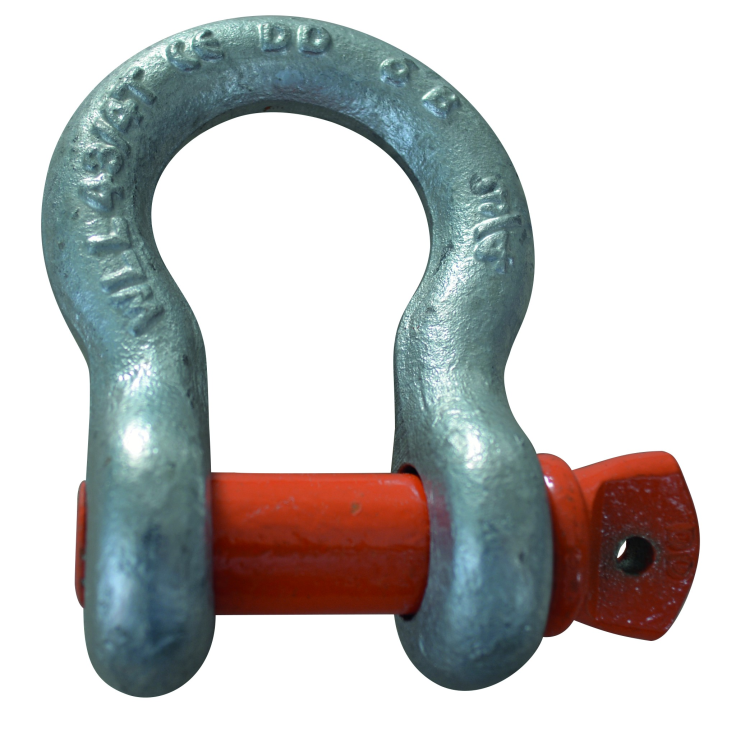 Visit our lifting ropes page.